Los Angeles, California – Kohn Gallery is pleased to present an exhibition of new paintings by southern California-based, Light/Space and Conceptual artist, Joe Goode. The new series, titled Flat Screen Nature, is the culmination of the brilliant ideas and bold experiments Goode has investigated over the course of his fifty-year career. Beginning with his Milk Bottle series (early 1960s), his art practice questions the impermeability of the surface of the painting. The artist toys with the boundaries of the literal and the abstract while looking through the visible world, dissecting matter until it dissolves into immensely beautiful fields of color. Goode expanded on this theme of “looking through” with his Torn Sky series of the early-to-mid 1970s by literally slashing layers of serene cloudscapes with razors and knives. Here the artist’s violent action creates depth in these placid, meditative surfaces that often reveal other painted canvases below the surface, or even the structure of the canvas itself. Continuing with this theme in later series such as Nighttime, the slashed surfaces often become so deep as to reveal the wall behind them. Drawing inspiration from his own history and art practice, Flat Screen Nature is informed by the powerful odes to nature and expression found in his earlier series, as well as his Cloud (mid-to-late 1960s), Ocean (late 1980s), and Ozone (early-to-mid 1990s). Like these historical, canonized series, Flat Screen Nature toys with perception and audience engagement. While atmospheric and sublime, this body of work is simultaneously hyperaware of its own structure and materiality. 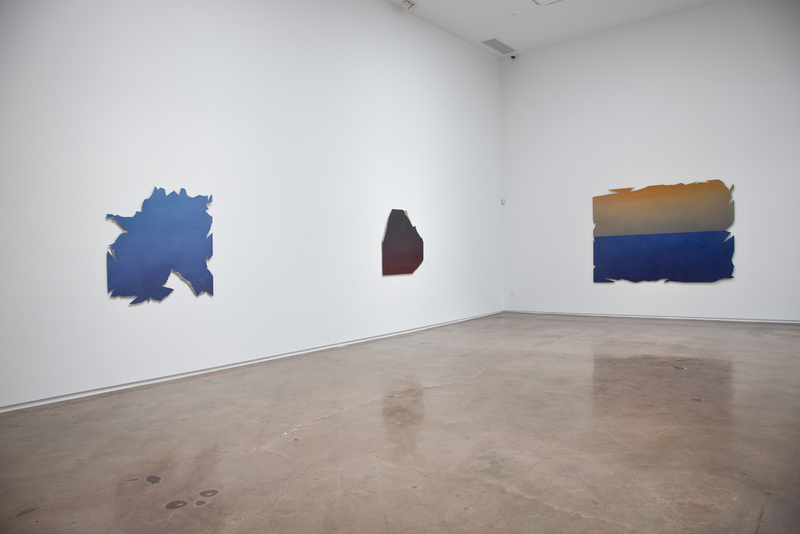 In contrast to the works from the Torn Sky and Nighttime series, Goode slashes and claws at the edges of Flat Screen Nature, revealing the fiberglass “canvas” and giving way to the appearance of the painting emerging from the wall beneath. In leaving everything but the edges intact, the containment of this destructive energy signifies a return in Goode’s practice: Instead of seeing through the painting to the wall beneath, one is confronted with an object coming forward to engage with the viewer’s space (a call back to the artist’s iconic Milk Bottle paintings). 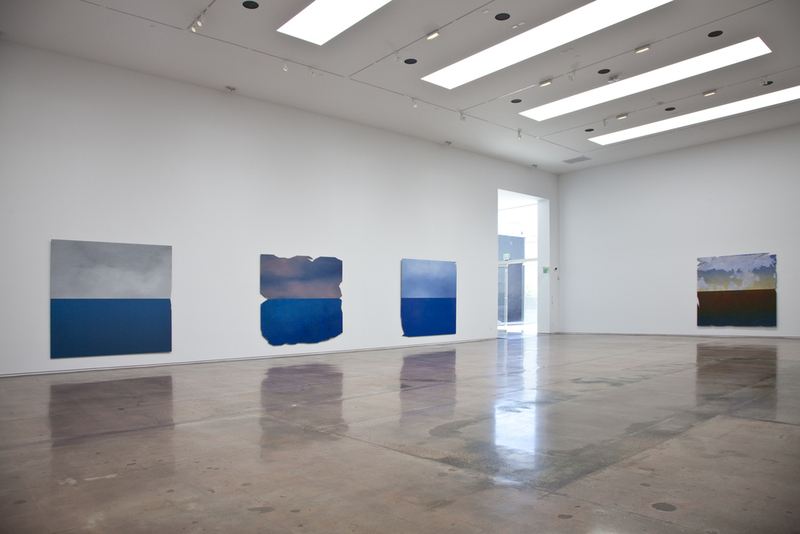 While his work continues to explore the process of “creation, destruction, creation” (Goode), and the atmospheric influence of the California sky and ocean, the psychology of painterly effects is underscored and brought to the foreground. First recognized for his Pop Art milk bottle paintings and cloud imagery, Goode's work was included in the 1962 groundbreaking exhibit “New Painting of Common Objects,” curated by Walter Hopps at the Pasadena Art Museum (now Norton Simon Museum). This historical exhibition was the first museum Pop Art exhibition in the United States. Since then, Goode’s work has been shown in hundreds of gallery and museum exhibitions worldwide. His work is included in many major museum collections including the Los Angeles County Museum of Art, The Museum of Contemporary Art Los Angeles, the Menil Collection, The Smithsonian Institution, The Whitney Museum of American Art and the Museum of Modern Art New York. In January 2015, a major survey of Joe Goode’s work will be on view at the Contemporary Art Museum St. Louis. 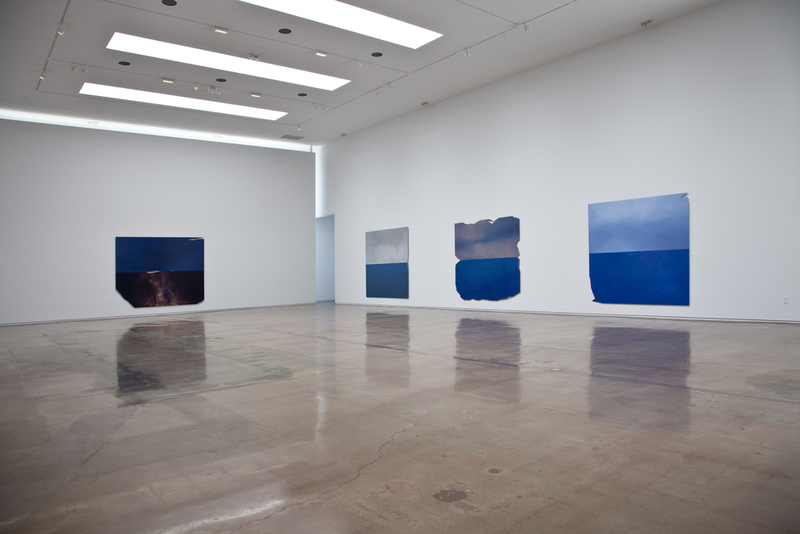 Joe Goode: Flat Screen Nature is the second show in Kohn Gallery’s new, expansive 12,000 square foot space. Designed by Malibu-based architect Lester Tobias, the new gallery building features an immense space with 22-foot ceilings, allowing for stunning exhibitions on a monumental scale. This design also incorporates a massive glass window along Highland Avenue and extensive skylights to bathe the gallery with natural light. With an eye always towards the future, the Kohn Gallery will utilize this expansive new exhibition space to continue to mount bold exhibitions of established and emerging artists.